A Northampton pub where organised crime took place could be poised to reopen. Northamptonshire Police told a licensing committee in October that - among a string of other incidents - the King David, in St David's, had played host to drug dealing. As a result, councillors revoked the pub's alcohol licence. Now the company that ran the pub, Ei, has put the building up for sale, with the intention of finding a new landlord or landlady. A spokeswoman from Ei Publican Partnerships said: “As part of our ongoing business, we do from time to time identify pubs that may no longer have a long-term future in our estate. "After careful consideration, the decision has been made to sell the freehold of the King David, Northampton." Ei made a big effort to retain the King David after its licence was called in for review by Northamptonshire Police. The designated premises supervisor left in August and the pub was closed in September. But Ei was still attempting to persuade councillors at a meeting on October 8 that a new supervisor and strict licensing conditions would solve the King David's crime problems. However, after the licence was revoked, Ei decided the pub was of no further use. 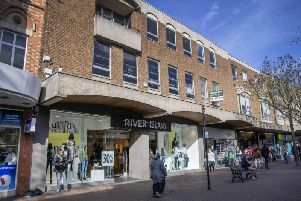 The panel of councillors had said it was "very apparent that the premises appeared to be associated with drug use and drug dealing" and that there was "no evidence of robust action" to ensure the tenants would comply with licensing objectives.